Theresa May is to request a further delay to Brexit, having failed to get MPs to back her deal. She will meet Labour leader Jeremy Corbyn to see if a compromise can be found. If they can agree, that would then be put to MPs and taken to the EU summit on 10 April along with a request for an extension. If they can’t agree, MPs would be offered a chance to vote on options. The government would abide by the result. An extension would also be required. Brexit is due to happen on 12 April. Separately, MPs have set aside time on 3 April to debate a new law proposed by Yvette Cooper. If passed, it would lead to another vote which could compel the prime minister to seek a further extension to Article 50. The EU says that any delay beyond 22 May would mean the UK having to take part in European Parliament elections. They could refuse another extension, or make a counter-proposal. All this means a lot of different things could happen. No-deal Brexit is still the default outcome if MPs can’t agree anything else and there are no further extensions. As things stand a no-deal Brexit would happen on 12 April in the absence of any other decisions. It could also still happen at a later date if any further extension fails to break the deadlock. Despite the repeated rejection of Theresa May’s deal, it has not been permanently ruled out. Even now, if a compromise cannot be agreed with the Labour leader, and if there is no majority among MPs for an alternative, it remains a possibility. Even if there were to be a longer Brexit delay, the negotiated deal could come back at a later date as a way of allowing an early exit. Also, if negotiations with the EU on any alternative plan run into difficulties, the two sides could decide to return to the one deal that has been fully worked out. The government could choose to negotiate a completely new Brexit deal. Instead, there could be a complete renegotiation that would take some time. 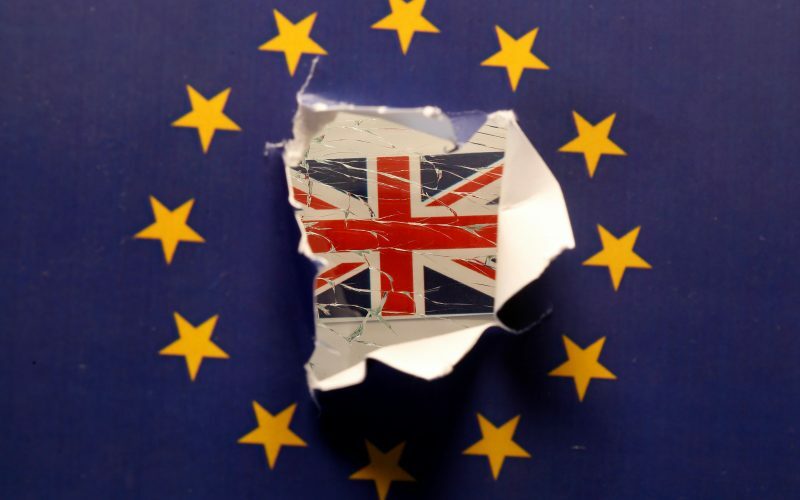 It would require a long delay to Brexit and the UK would probably have to take part in the European Parliament elections in May. A renegotiation could lead towards one of the other styles of deal that have been suggested – perhaps something close to the so-called “Norway model” which would involve a closer relationship with the EU than the current deal proposes. It could have the same status as the 2016 referendum, which was legally non-binding and advisory. But some MPs want to hold a binding referendum where the result would automatically take effect – like with the 2011 referendum on changing the voting system for UK general elections. The government survived a vote of no confidence on 16 January by 325 votes to 306. Labour could table another no confidence motion at any time. However, any further delay to Brexit would certainly lead to questions about whether the ultimate destination was going to be a reversal of the 2016 referendum. Theresa May has said she will step down if her deal is passed. Having already survived a challenge to her leadership, there is no way she can be forced out by her party until December – under the Conservative Party rules. But she could still choose to resign if she can’t get her deal through and she’s not prepared to change course.